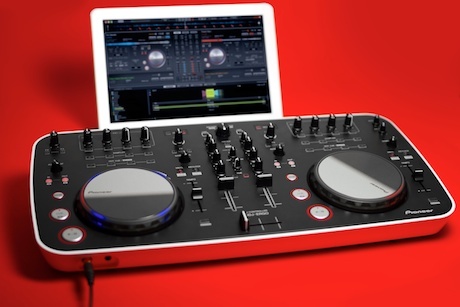 Pioneer have had an unassailable lead on the rest of the DJ industry for years, but have been rather caught with their pants down by the emergence of the MIDI controller platform. While they continued to develop high end solutions, the low end market exploded, leaving Pioneer without a solution. They found themselves in the unfamiliar territory of being the follower rather than the leader, and after studying the industry decided to tap directly into the mass consumerist market via the funky Ergo controller. As ever, Andrew Unsworth took a look just you you. Where I am, it's Christmas Eve. 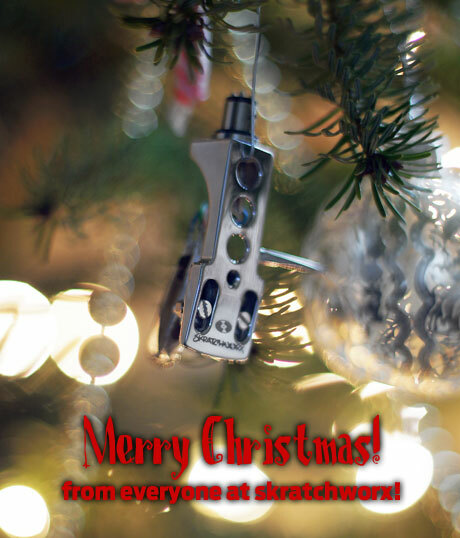 Some of you however have slipped across the threshold into Christmas Day, so before I switch the lights off in the office, I want to extend a hearty Merry Christmas to everyone who has read, contributed or generally enjoyed skratchworx this year! 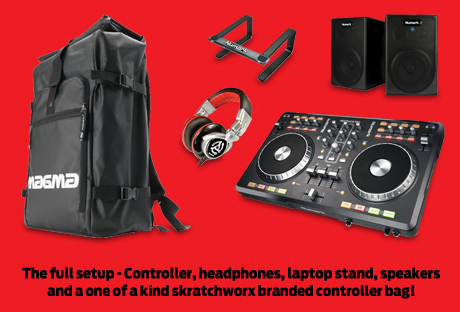 12 Days of Skratchmas Final Day 12 - Full Numark controller setup plus skratchworx bag! The last day of the 12 Days of Skratchmas is upon us. But let's not be sad as Christmas is just about to begin properly for everyone. And hopefully this final prize will bring a massive smile to someone's face, as I have a complete controller setup to give away courtesy of Numark. A Mixtrack Pro, Red Wave headphones, Laptop Stand and a pair of NPM5 monitors. But that's not all - thanks to Magma Bags, I have a one of a kind, never to be repeated skratchworx branded rolltop backpack. Even I don't have one of these. 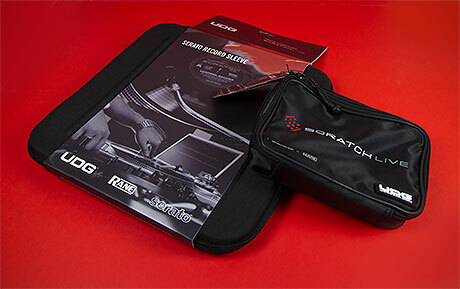 12 Days of Skratchmas Day 11 - Traktor Pro 2/TA6 + 2 x TA2 + t-shirts! The penultimate giveaway day is here. Day of 11of 12 whole days of free stuff for our readers is now in the hands of generous companies, in this case 2Twenty2, distributor for amongst others Native instruments in the UK. I asked them nicely to have a look around their offices for some spare stash and they came up trumps - today's winner gets a full boxed copy of Traktor Pro 2 and a Traktor Audio 6 to run with it. 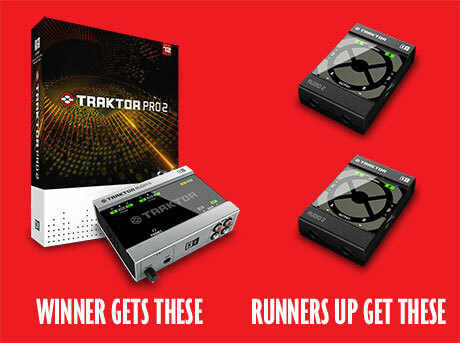 But that's not all, today there are runner-up prizes in the shape of Traktor Audio 2 for 2 lucky people. Oh and there's probably t-shirts too. As we enter the last 3 days of the draw, after today I have officially run out of stuff to give away. So this is the last day of stuff I have kicking around, and tomorrow we step up a notch for the final 2 days with manufacturers contributions. 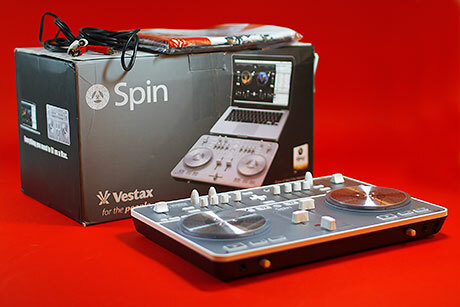 What I do have here is on the face of it, just for Mac users, but the Vestax Spin, complete with algoriddim's djay software is also happily MIDI-mappable on Mac and PC too. Santa has a serious lump of luggage to drag all his pressies around on Christmas Eve. And now it's time for me to unload a similarly serious piece of highly desirable baggery for you bunch of lovely skratchworx loyal readers. 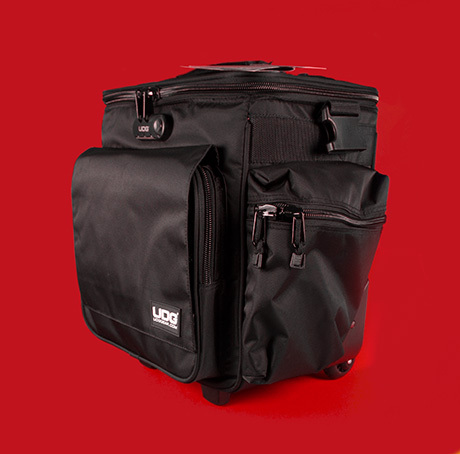 UDG make all manner of DJ bags, and this particular one is the Slingbag trolley deluxe. Not just a bag, but a trolley too. Controllers come in all shapes, sizes and budgets, as does the hardware that powers it. So you can imagine our delight at seeing a ubercheap controller being driven by hardware in your pocket, all without a power supply in sight. 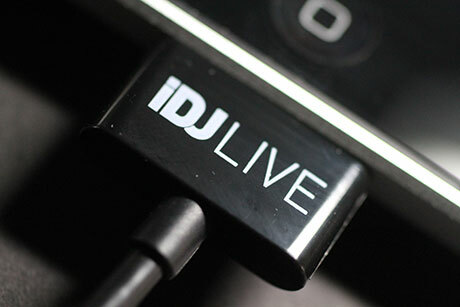 Numark's partnership with algoriddim has brought forth the IDJ Live, and Filespnr has cast his iOS critical eye over the marriage of hardware and software. 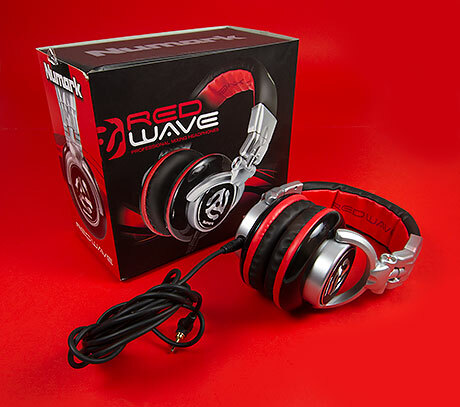 Day 8 and so far, the Numark Red Wave headphones have been by far the most popular giveaway. People either like headphones, like Numark or the colour red. 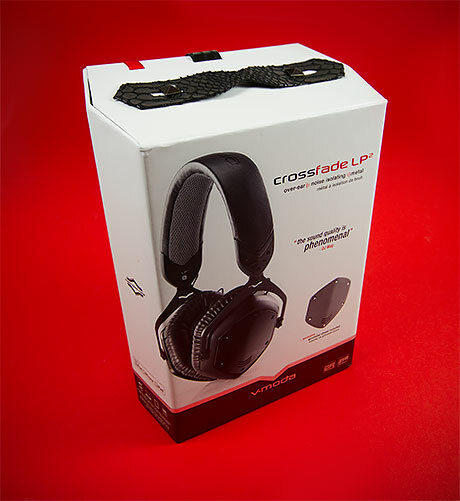 Well with the next prize, I can tick at least one of those boxes with a pair of V-MODA Crossfade LP2 headphones. A while ago, while tampering with multiple ITCH controllers, it became clear that there was an overlap in functionality. I think I hooked an Allen & Heath xone:DX and a Numark V7 up to the same computer and suddenly had scratch control of the DX where previously there was none. My mind (as well as others on forums) got to thinking about the possibilities. 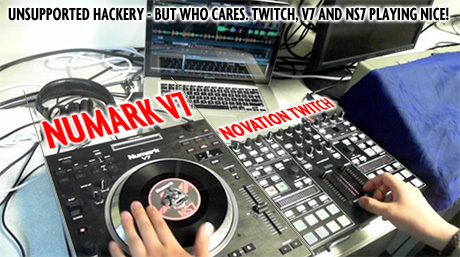 And a couple of videos have come my way showing how Novation's Twitch can be used with the NS7 and V7. NAMM is literally weeks away, and as ever my inbox begins to get NDAs, solid pre-show heads ups as well as the occasional teaser. I'm assuming that this is one of those so I present it here for your scrutiny. Going back to the surprise stuff that arrives at skratchworx HQ, Korg sent me not only the Monotron Duo (with twin oscillators), but also the Monotron Delay. 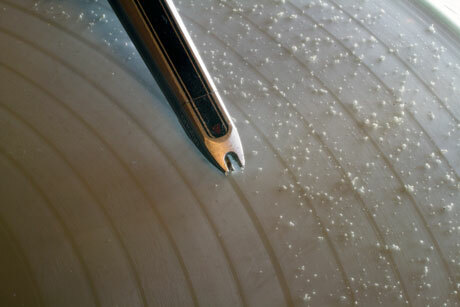 It's a lovely feeling - breaking the seal on new vinyl, taking in the factory fresh smell and playing it for the first time. But in time, a darker reality sets in, one that just vividly displayed itself on my almost white copy of Kings Breaks. So it seemed like the ideal opportunity to gross you out with my macro lens. We hit the halfway point of the 12 days of giving, and also the last of the Serato themed pressies. I'm going to find it very hard to give these away, as they're quite simple stunning, either sat on your decks or even hanging on the wall. 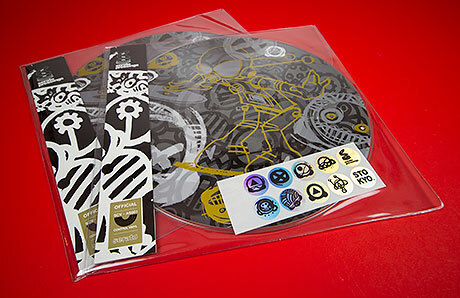 DJs and DJanes (around 3% according to Facebook insights), I give you the Eric Orr picture discs. Not one, but a pair. Sometimes, I get unsolicited goodies dropped through my letterbox or lovingly handed over via courier. 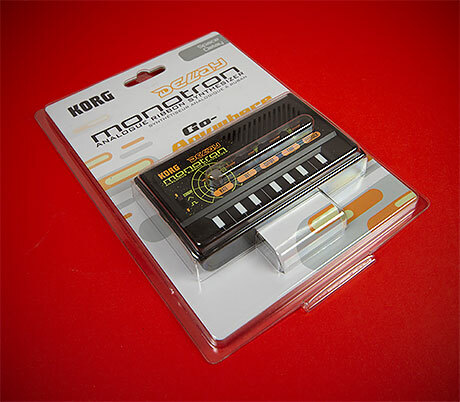 One such surprise package was from Korg, containing their new and diminutive Monotron pocket synths. 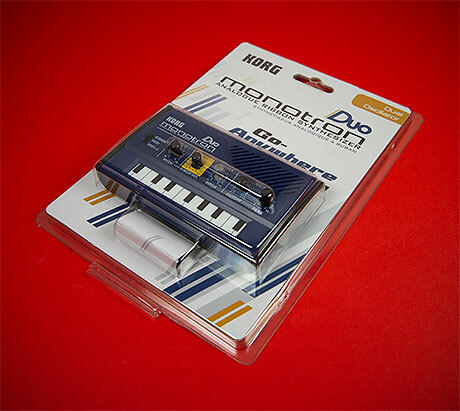 The first one I'll give away is the Monotron Duo. 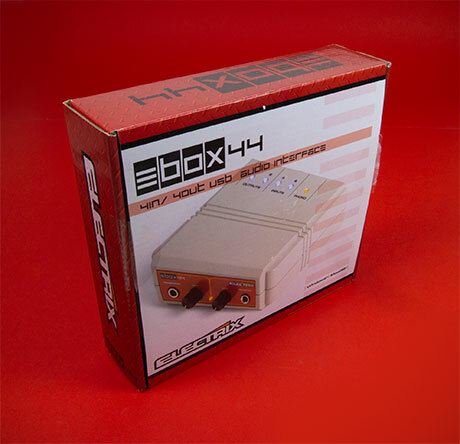 You'll recall the recent Electrix Ebox-44 review - well being already amply endowed in the audio interface area in the office, I've decided that one of you should have the warmly received heavy lump of gear for your very own. As you're well aware, there have been some notable exceptions in the reviewing schedule. For this I humbly apologise and assure you that the fault is all my own, and that normal service will be resumed in the new year. In the mean time, I'll be slowly leaching these missing reviews out one by one until we're back on track. 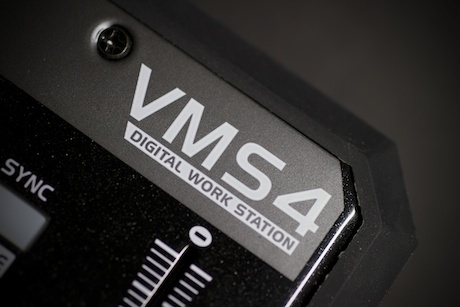 First up is the American Audio VMS4 review from DJ Pegasus. Let's take a break from the Serato theme for a while opening this up to a few more readers - almost getting lost in the Christmassy background is a pair of Numark RED WAVE headphones, looking especially festive with the red trim. 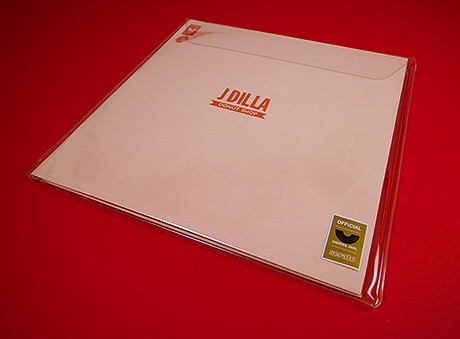 It's that time of year again, when I cast my beady eye around the compact and bijou confines of my office and see what kind of collected DJ goodies hangs around and begs to be given away to some lucky readers. Yes dear reader - it's the (hopefully) 12 days of Skratchmas office crap offloading! Stanton is a business that has been around longer than most in the DJ industry. But despite pushing boundaries with DVS and touch tech, it's fair to say that they've had mixed fortunes in recent years. Owners ML Capital put the Stanton Group up for sale almost a year ago, and to much surprise, guitar giants Gibson have been named as the new owners.